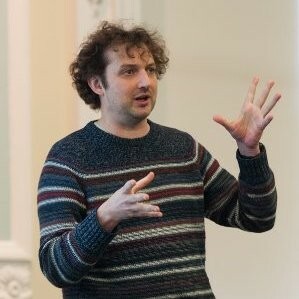 In this unconference-style workshop, facilitated by Dr James Hetherington, Director of Research Engineering at the UK’s Alan Turing Institute, members of the research and data science communities will discuss the challenges and best practices for creating cloud-based environments for exploratory research with confidential data. Software ingress. How can researcher-written software and scripts be introduced to a secure cloud environment, without compromising either researcher productivity or security? Egress of derived data. How can we use peer-review to verify that scripts which we believe create non-sensitive derived data do not leak sensitive data, so that these derived data artefacts can be published and shared? Collaboration and interoperability. How can we move toward standards to provide guarantees about data safe havens within the data science community so that organisations can fluently collaborate? James is the founding head of UCL’s Research Software Engineering Group, the first such group in the UK, and the Director of Research Engineering at the Alan Turing Institute, the UK’s national institute for data science and artificial intelligence. Across these two institutions, he leads a team of twenty research software engineers and data scientists contributing to a huge range of data- and compute-intensive research. They build and use tools to analyse and present large research datasets, and create complex simulations running on state of the art supercomputers. Fields addressed include ancient Mesopotamian history, graph theoretical approaches to modeling chemical catalysis, intensive care big data, compressive sensing for the Square Kilometer Array, the history of trans-oceanic journalistic exchanges, data intensive engineering, brain blood flow simulations and DNA crime scene analysis statistics.